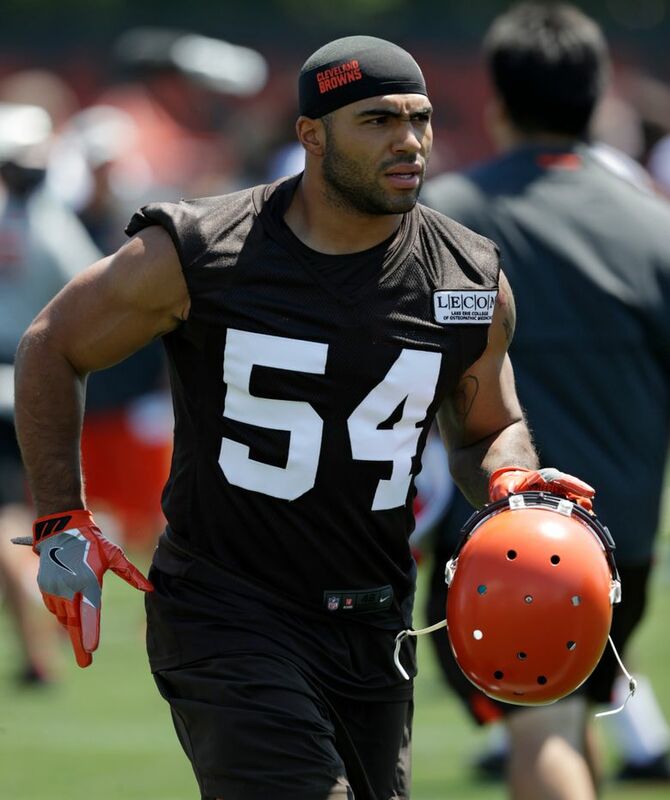 The Browns cut LB Mychal Kendricks after he was charged in federal court with insider stock trading. That’s what you call a stiff illegal-procedure penalty. Especially the part where the Giants ignore the warnings and feed him $95 million. Swimming and diving has been banned off the coast of Landévennec, France, thanks to the relentless amorous advances of a bottlenose dolphin. Which certainly answers the question: What do you get when you cross Flipper with Pepe LePew? A duffer got into a fight on a Massachusetts course and had his finger bitten off at the knuckle. Well, there’s one golf slice that even Hank Haney can’t fix. Green Bay QB Aaron Rodgers — who just agreed to a 4-year, $134 million contract extension — is coming out with his own line of cheese, we hear. J.C. Penney’s portfolio for the past four years boasts a profit in just two quarters. In a related story, J.C. Penney has just been named the official retail store of the Cleveland Browns. Luckily for Crash Davis, he and Nuke LaLoosh didn’t have to play there. Dodger Stadium has been hit by two power outages this season. Andrew Benintendi is certainly doing his part to speed up baseball games. The Red Sox outfielder accounted for all three outs — a sac bunt and a double play — in Boston’s 11-run inning against the Marlins on Wednesday, or else the Sox might still be batting. Arsenal soccer coach Unai Emery has banned high-sugar fruit drinks from his team’s training menu. Still no word on the status of mom’s halftime orange slices. Brewers center fielder Christian Yelich not only hit for the cycle Wednesday against the Reds, he added two extra singles. If this were Yahtzee, he’d have to decide between taking three points for three of a kind or 30 for a small straight. South Carolina had to replace its entire football field — more than 90,000 square feet — less than a week before the season opener because of damage done to it during a Jay-Z and Beyoncé concert. In other words, Jay-Z and Beyoncé look tougher on grass than the Gamecocks. Pittsburgh, to its credit, is sitting pat with Heinz Field. The Miami Marlins — nearly 30 games under .500 and drawing sparse crowds — are trying to drum up interest by encourage fans to bring musical instruments and noisemakers to games next season.